We offer a range of climbing courses from beginner to advanced levels. Our ethos is simple – to offer the best instruction and coaching through well thought-out, tailored courses delivered by a friendly team of the UK’s highest qualified instructors. If your keen to give rock climbing a try then why not join us for a rock climbing taster day? On this one day course you'll gain an insight into the world of rock climbing and have the opportunity to try a wide range of different rock climbs. If you haven't climbed before, or only indoors, and want to get a good grasp of the basics then this is the course for you. Over the two days you'll learn all about the fundamentals of rock climbing and get to climb some inspirational routes on some of the best climbing crags that the Peak District, and the U.K., has to offer. If you want to start lead climbing outdoors we can help you. Taking a holistic, tailored approach, we start by establishing what you already know and help you to build up the necessary skills, judgement and movement on rock so that you can lead with confidence. All of our lead climbing courses are run at a ratio of 1 instructor to 2 climbers so that you can make the most out of your time with us. Being able to competently tackle multi-pitch climbs in the U.K. really opens up the possibility for some amazing and unforgettable climbing adventures. However making the transition from single- to multi-pitch climbing can be daunting. We'll teach you how multi-pitch rope systems work, how to avoid rope tangles, what to do if you get stuck or the weather turns and you need to retreat. We'll take the time to answer your questions, demystify multi-pitch climbing and give you the confidence and skills to independently lead multi-pitch rock climbs. If you'd prefer to focus on climbing some great routes, rather than developing skills, then why not join us for some guided rock climbing? If you have ‘classic’ routes in mind or want to try climbs at a chosen grade, we will plan your trip for you: from easy climbs for beginners to sea cliff adventures or challenging routes high in the mountains. 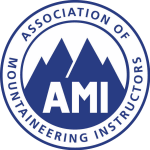 These courses are designed to give you a solid foundation in the core skills needed to rescue yourself or your climbing partner, as well as providing you with tips on how to prevent problems occurring in the first place. You'll learn a variety of rescue 'tools' so that you'll leave the course with a 'toolbox' full of techniques that can be applied to a variety of different situations. We are able to provide instruction, guiding and coaching in all aspects of rock climbing. So if you have something specific in mind then please contact us to discuss the options and to come up with a course that is tailored to you and your needs. The BMC Ready to Rock courses are designed to help indoor climbers make their first moves onto rock by having a fun day out as well as covering the use of some key skills and equipment. To take advantage of what is on offer you will need to have been climbing indoors a few times already. You will need to be able to put on and adjust a harness, tie in to the rope and belay a climbing partner. These courses are for people aged 18 or older.